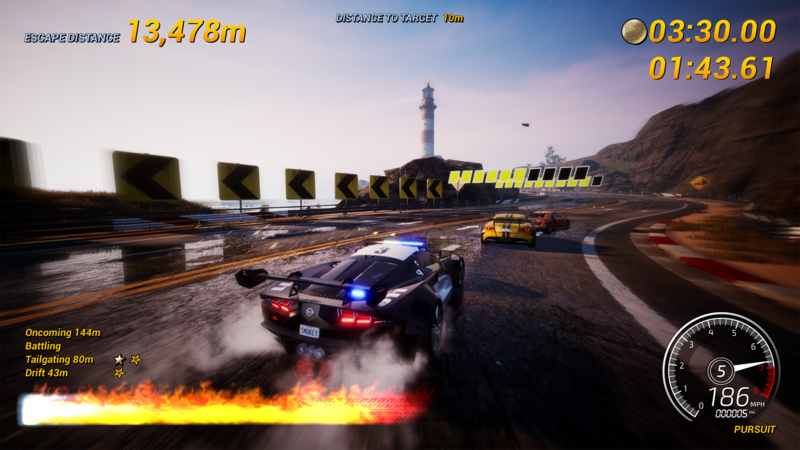 It has taken a while for Three Fields Entertainment to harness the thrill of the Burnout series properly. Whilst Dangerous Golf was a lacklustre debut, and the Danger Zone games saw them take some of the magic from their past experiences in game development, there was still something missing. Burnout was always about speed, adrenaline, and destruction, while making it seriously addictive trying to get that all important victory. Thankfully Dangerous Driving is one hell of a joyride, and thoroughly amusing to boot. 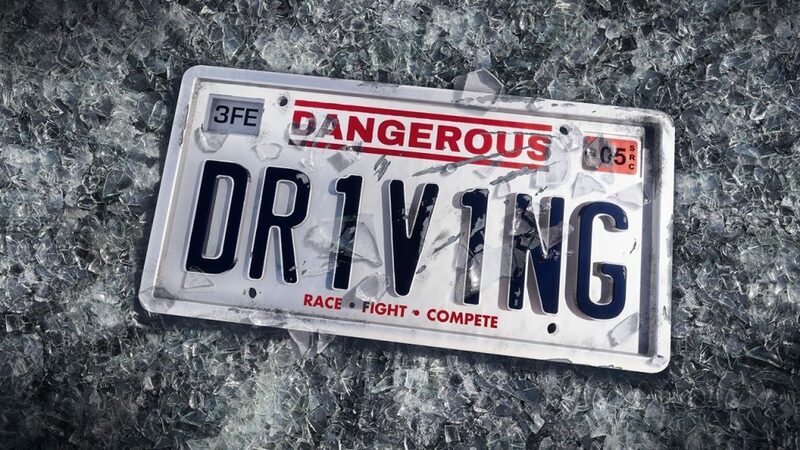 Feeling like a stripped-back version of the Criterion classics, Dangerous Driving takes the core of what made them so good and gives you plenty of different races. 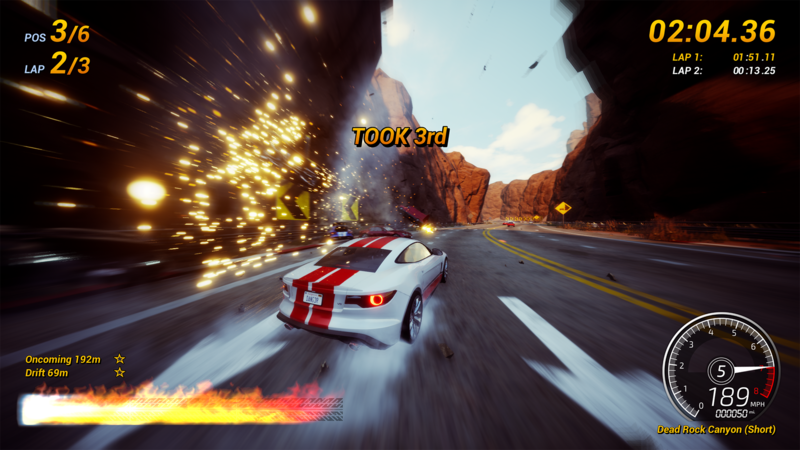 There are over 30 courses, with nine game modes offering variation as to how you drive. National Parks, deserts, and lakes offer some of the backdrops, providing some tasty scenery to appreciate. The thing is, you rarely get to do that. The tracks themselves offer a myriad of tight corners filled with oncoming traffic that make each one a challenge. Three Fields has harnessed the chaos and provided race after race of thrills, and it’s fantastic. You start off racing Sedans through a range of different tracks, and by finishing in the top 3 you unlock new races. Once you’ve done that enough times, the Grand Prix for each class becomes available, and winning it will unlock the next class. SUV, Coupe, Supercar, Hypercar, and Formula DD provide the following five classes, and the more you unlock the faster it gets, along with the increased difficulty. It took a while to feel properly challenged, but by the time I got in one of the Coupes I could feel the speed increase substantially. If you stick with it and get into the Hypercars and even the Formula DDs, Dangerous Driving becomes ludicrously absorbing. It took me a while to really get into it, though. The handling of the cars is very good, and for those of you who aren’t proficient in the cream of video game racers, Dangerous Driving is inviting to everyone. Accelerate, break, and turn – no handbrake, no gears, no pinpoint precision. Each class handles slightly differently: some are bulky but sturdy, while others have better turning but can be knocked off course easier. On top of the classes, different variations of the cars unlock as you play. Tuned vehicles improve boosting – namely boost chaining and improving your speed, whilst Advanced vehicles provide tougher veneers and take more damage. Finally, the Prototypes turn the speed to the max, although their vulnerability is a lot higher. Boosting plays a vital role, and there are plenty of different ways to build the boost meter. Whilst it gives you greater speed, it’s also a tool to forcefully barge into the competition. Dodge incoming traffic at the last moment or get some distance when in the air and your boost will improve. Barging into a car and causing them to crash will instantly fill up you boost bar to its maximum. Watching fellow cars crash kicks in a short replay, and the results are so satisfying as you watch the competition disappear off a cliff or into a tree. Also, your own car doesn’t lose control when these replays kick in, meaning you don’t need to worry about crashing yourself after a successful Takedown. Each race mode gives you different means to become victorious, and it is in these where your mentality is forced to change. Eliminator races take place over five laps, and the person in last place gets eliminated after each lap. Pursuits see you drive a cop car, and you’ll need to crash into the ‘suspects’ to take them out and win, but the distance you’re given to complete the task decreases leaving you with less time to win. Survival requires you to survive the onslaught of traffic without crashing, and the popular Road Rage returns where you have to get the most Takedowns to succeed; finishing first isn’t always the goal. Each mode offers something different, and there wasn’t one I didn’t like, although the standard Race took place across longer tracks, slightly taking away the flashy nature of some of the other modes. 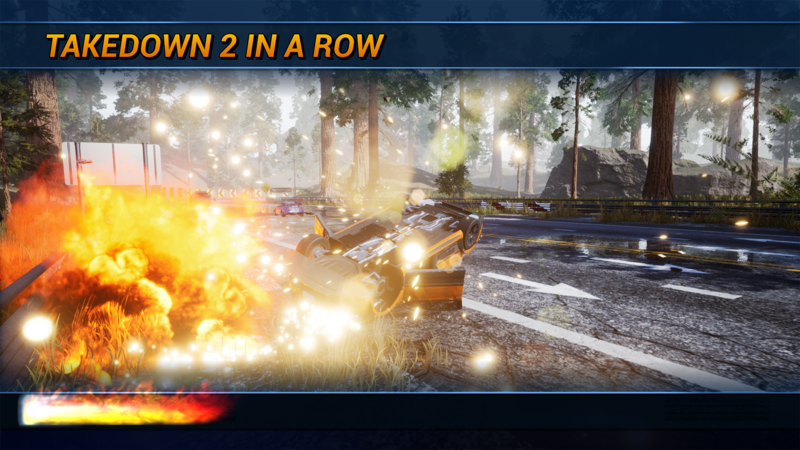 Dangerous Driving offers loads of opportunities to feel the excitement you felt while playing Burnout, and the subtle additions Three Fields Entertainment has included offer additional challenges on top of the modes and course locations, such as the wreckages of crashed cars remaining on the tracks. Having to avoid these as well as the traffic throws more at you to overcome, and that’s why it’s so good. Unfortunately, I encountered some lagging on certain tracks, and this became a pain when tazzing around at breakneck speeds, leaving me at the mercy of tight corners or oncoming traffic. Anther complaint I had was the lack of an onscreen course map. You can’t always see where you are, and not knowing how much farther is left has a knock on effect when it comes to knowing when to use your boosts strategically. There’re two camera angles, but in first-person, driving becomes increasingly difficult because when you’re knocked by another car, you lose your bearings completely. Whilst some may thrive off the challenge, it makes it far too difficult. I got plenty of enjoyment out of Dangerous Driving. Handling is excellent, the different modes give you plenty of reasons to keep playing, and watching your Takedowns is as addictive as it gets. The technical issues weren’t a constant bug bear, but they happened far more than they should. Despite this, the spirit of the Burnout series is alive and kicking, and if you loved what made them so popular, this is most definitely a game you should be playing.